Based in London and New York, Danny Kasirye has a unique perspective on fashion photography, animated by his constant search for non-conformity and authenticity. With a particular take on diversity and gender in the fashion world, his photography delivers uncompromising work that pushes the medium into new territories. A portrait of Danny Kasirye. Elena Stanciu: Tell us a bit about your work and portfolio so far. How do you describe yourself as a photographer and filmmaker? 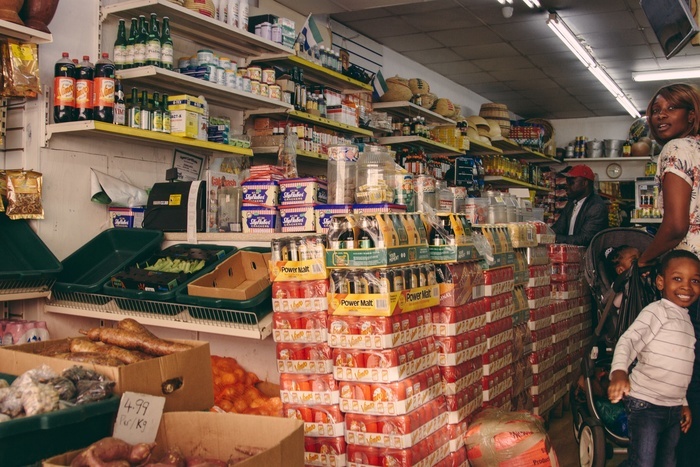 Danny Kasirye: I never actually had any plans to get into photography at all, funnily enough. It almost just happened by accident. I was at university studying Film and Television, with plans to become a director/cinematographer, and bought a camera, which, being a broke student, wiped my bank account clean. So, not wanting the purchase to go to waste, I started taking pictures! I've always been drawn to warm and neutral colours and tones, whether that was a moving or still image. People are always the inspiration. I wanted my pictures to have a warmth that came through the tones and the subject in front of the camera. Blood Ties for Teeth Magazine. Jade Anouka for Wonderland Magazine. ES: You share your time between London and New York, and in your portfolio, I spotted some single shots in these cities. 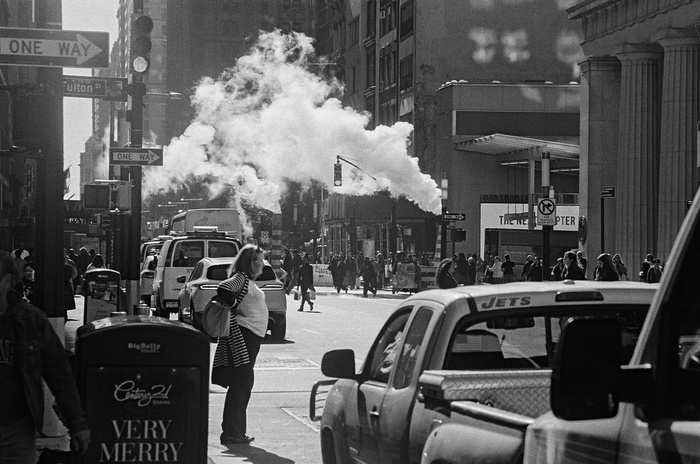 Do you experiment with street or documentary photography? Do you feel your inspiration/creativity changing according to the city you’re in? Would you say that looking at the city impacts the way you look at fashion? DK: I do experiment with street and documentary photography; it's the first kind of photography I ventured into when I decided to start taking pictures. What I love about it is that it's a real moment, which can't be manufactured or recreated. I stopped doing it for a while, but when I went to New York last year (my favourite city), the energy and the people I encountered drove me to start again in that city. I would say that my method of shooting largely stays the same, however each place I find myself in inspires me differently. Every city has a different energy and runs at a different speed. The change in culture is reflected in the people that live there, which for me makes the images more fascinating. Even when shooting fashion, it almost always comes secondary to me, if I can get the person wearing the clothes to feel comfortable and enjoy themselves, the clothes will always look good! If for example I took a Paul Smith suit and put it on someone from London, Brooklyn, Cape Town, Mumbai and Tokyo and took a picture, as a viewer, you'd feel something completely different from each picture. ES: What do you think of the state of diversity and inclusivity in the current fashion environment? How can photographers contribute to a more diverse fashion world? DK: Diversity and inclusivity are getting better. I definitely don't think we're there yet, though. I feel like the main reason we've seen an improvement is due to the rise of social media, particularly Instagram and Twitter, which serve as vehicles that push and direct trends and culture as we know it. It's given so many unprivileged, but supremely talented people from minority backgrounds the chance to share their amazing work and have opportunities come from that. I also love the fact that we're starting to see more black creatives and decision makers in prominent positions working for the biggest brands and magazines. I do worry that some people may appear inclusive because it is the "in" thing to do and not because they genuinely want to see a more diverse and representative fashion industry. We can't downplay the huge role fashion plays in setting standards of beauty. Photographers and casting directors play a major role in this; we're the ones putting these faces forward to the world. We need to champion people of different races, heights, sizes, and genders not only for editorial, but commercial work too. ES: Speaking of gender, in some of your projects you engage with the notion a lot. What’s your take on gender in fashion today? You’ve had some work dealing with the idea of “genderless fashion” – can you expand on your interpretation of this? DK: Society in general is starting to discuss gender in a much more open way than had previously been done before. In some cultures, items that typically may be associated with femininity, are worn by men. Fashion is one of the creative mediums that always challenges traditional thinking; it's always been a form of self-expression. Not applying gender norms in fashion has produced some beautiful works and it drives creativity (the work of Ibrahim Kamara I think is a perfect representation of this). I also think it helps challenge the outdated notions of what masculinity is, particularly amongst young straight male people of colour. Tolu Coker special for Replica. ES: In the light of the #metoo movement, there may be a challenge for the fashion world to rethink its structure and values, the way it puts together narratives and representations of women’s bodies and agency. What’s your opinion on this – can fashion successfully redefine standardised notions of beauty and femininity? Do you as a photographer engage with attempts at these arguably necessary redefinitions? 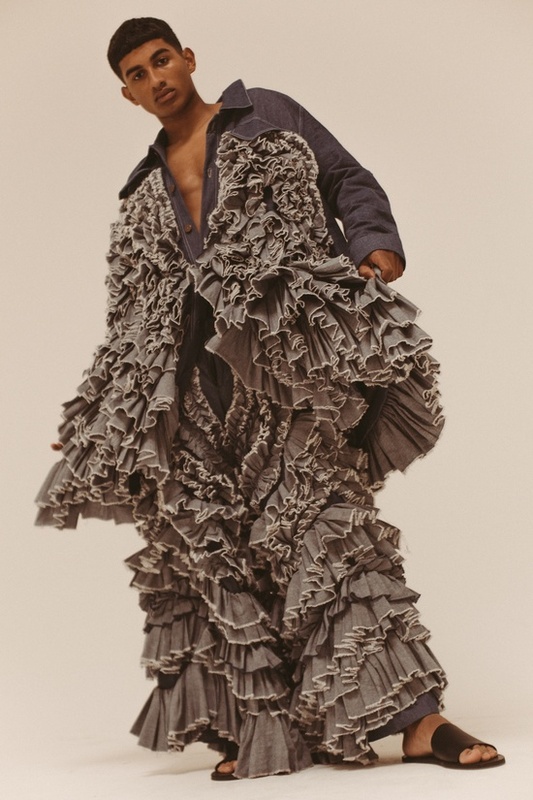 DK: Fashion can redefine the standardised notions of beauty and femininity, whether the industry as whole wants to and is dedicated to making that change is a different question. Well...I'm not so sure, at least not whilst the same old heads that perpetuate such notions are still in charge. This is also why I feel it's important that we have women (particularly women of colour) in positions of creative influence, in concept creation and execution, and in positions of power in boardrooms, where campaigns are greenlit and sent out for the world to see. Rebecca Ferguson for Nylon Magazine. As a photographer, I try to engage in this redefinition, I have the opportunity to present and champion these new and more representative notions of beauty which will hopefully lead to a generation of women and men who aren't constantly bombarded with unrealistic and exclusive notions of what it means to be beautiful. ES: Who’s your favourite photographer of all times? DK: Photographer? Just one? I couldn't choose, so I'm going to name a couple off the top of my head: Alasdair McClellan, Malick Sidibe, Ryan McGinley, Jamie Hawkesworth. ES: Who would you absolutely love to have in front of your camera? DK: So many people! But the first person that came to mind was Solange.